One of my all time favorite things to do is to travel. Seeing a new landscape and culture that I’ve never experienced before is one of the most thrilling things about life, and for me personally, it’s ten times better when I get to take a camera and a client along for the ride. I’ve been lucky enough to visit so many different states and countries as a photographer, including Jamaica, the Dominican Republic, Ireland, Paris, Venice, Chicago, New York, New Orleans, Nebraska, Arkansas, and so many others. In a few weeks my husband Jason and I will be jet-setting off to Europe for a couple of weeks immersing ourselves in new cultures and testing what we’ve learned in our year’s worth of French lessons, so to prepare myself for the trip, I decided to blog some of my recent destination work! 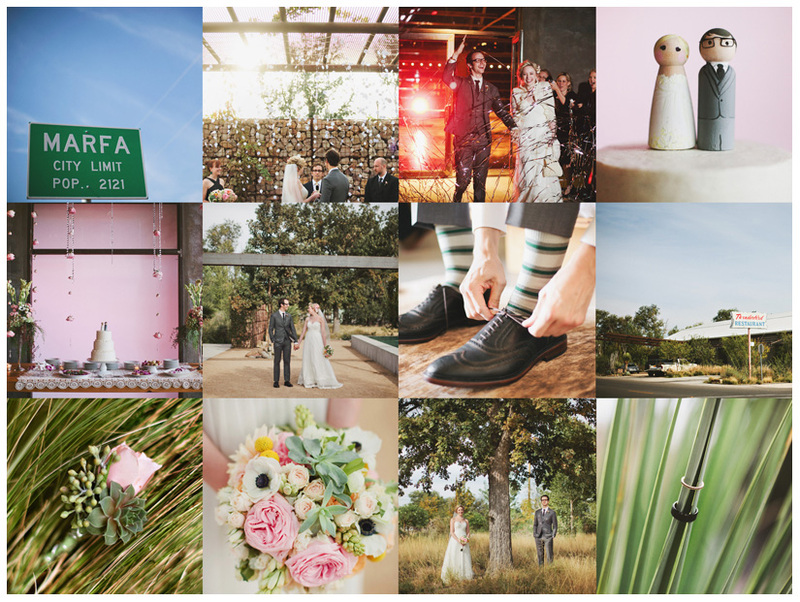 This week I’m starting off closer to home with a detail-rich wedding down in Marfa, Texas. Although it is in my home state, Marfa is much further away than many out of state weddings I’ve shot, and the culture is so drastically different that it feels like entering a new country. 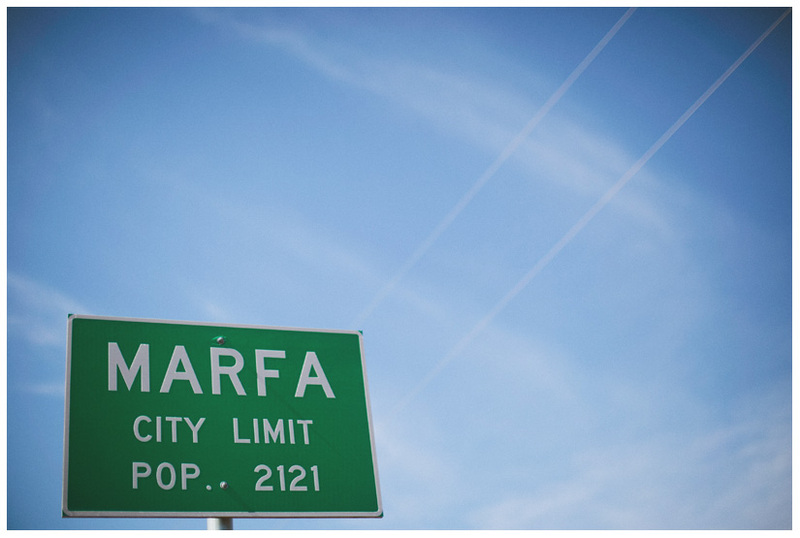 If you’ve never had the pleasure of visiting Marfa, the best way I can explain it is that it’s a hipster’s paradise. The town revolves around art, music, and culture and very much embraces its different-ness. 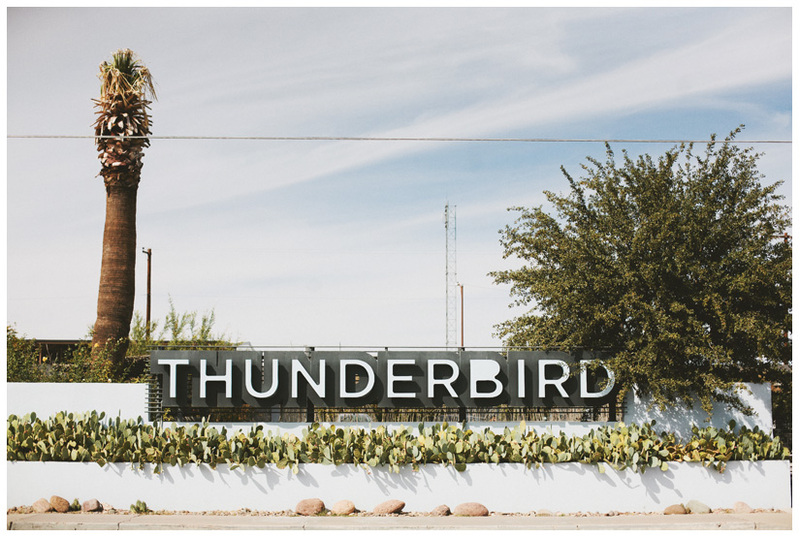 Everywhere you turn there’s a new art gallery or installation, musical performance, food truck, unique and innovative boutique, farmer’s market (quite an interesting variety considering it’s surrounded by desert and canyon), or trendy restaurant, as well as being the home of the famous Marfa Lights. You’d never expect to find an artistic haven nestled in such an isolated area, but if you’re willing to make the trek, it’s well worth it (especially for the Grilled Cheese Emporium). I love that they chose to do a First Look before their ceremony.. It was such a precious and emotional moment, and it allowed us to finish all their photos before the ceremony so that they could go straight to their reception afterwards! Speaking of paper flowers, Sissy also made these paper flower garlands for the ceremony, as well. They looked so beautiful blowing in the East Texas breeze! For their guest book, Sissy added a hand-drawn sketch to the first page of a journal, then left the rest blank for guests to leave notes or well-wishes. I love this wedding poster that Sissy and David designed. What a fun and creative touch to display in their home! I had a little too much fun with their rings.. The creativity in the air in Marfa just inspired me! Even the bartenders in Marfa are fashionable! One of my favorite elements of their wedding were the envelopes pictured above, entitled “OPEN in case of conversational emergency.” Inside was a card with some thought (and conversation) provoking questions that got everyone talking and laughing with the people seated around them. How AMAZING is this cake table? I’m in love with the rose-and-crystal garlands hanging above it and the sweet lace tablecloth. I felt like the venue only got more and more beautiful as the night went on! You can see even more photos from this wedding by picking up the most recent issue of The Knot magazine! Stay tuned next week as we continue the travel series with an Irish elopement in an ancient druidic stone circle that dates back thousands of years, and a New Orleans wedding that broke tons of records! John - Beautiful wedding Stacy, I’ve always been a fan of both your shooting style and your post production. Very very excellent work. Awesome couple and awesome details! Emily - Such a lovely wedding!! I love how you captured the moments so beautifully! benj haisch - gorgeous, Stacy. amazing work. Heather - Love everything! Especially the ring shots!! sarah kate - SOOOOOOO amazing! Naina - You have such incredible talent. Beautiful images. I especially LOVE the mother of the bride and her expressions and emotions. Cheers! raymond siler - Excellent work! What a great day! Amanda Shepard - Simply BEAUTIFUL!! You captured so many amazing emotions! I always LOVE your work. mike - Classy on all counts, Stacy. John Cain Sargent - Stacy. Oh My-LANTA! These are AWESOME!!! Which Knot was this published in? Becca Borge - Beautiful work, as always! Bec - amazingly beautiful. I loved it. Paul Krol - wonderful work Stacy!! sarah der - This is pretty much my favorite wedding ever. Also my favorite photos of yours–the coverage is perfect, Stacy, I AM SERIOUS. They are all so beautiful! I can’t wait to pick up the Knot and see them in there, so exciting!!!!! Casey - Gorgeous Gorgeous, Gorgeous photos! What a cool wedding! The pictures are absolute perfection! Love it! Kelli Ahern - This wedding rocks to no end. Just perfect! Bethany - These are the most beautiful wedding photographs I have ever seen! Kristopher Gerner - Holy cow, that is one of the most beautiful weddings I’ve ever seen! Great stuff! Shayla - Stunning, beautiful colors and I ADORE the wedding band. Any idea where the groom found this gem for the bride?